The Mechanical Gardens is New York City’s bike co-op: a bicycle repair and education center where we put the tools for happiness into the hands of every visitor and volunteer! Come visit and we’ll guide you through how to fix, maintain, or upgrade your bike, or even build a new one. We’re open every Monday from 6:00 pm to 9:00 pm at 195 Maujer Street, Brooklyn. As New York City’s only bike co-op, the Mechanical Gardens not only empowers you to be your own bike mechanic but invites you to manage our programs and run the whole operation as part of a collective. 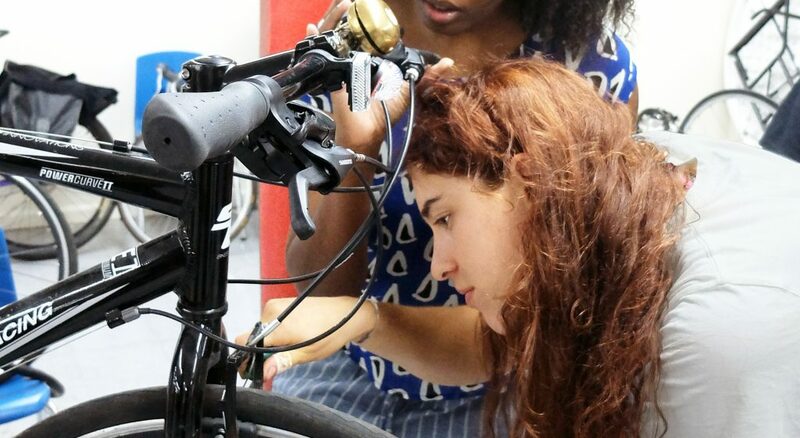 Through a combination of regular open workshop hours, scheduled classes, clear pathways to leadership, and universal affordability, we are expanding public access to bike repair tools and knowledge to help everyone work, play, and live in New York City.